Spring is here – and that means it’s time for spring cleaning to commence. Spring cleaning has become standard for many. Winter can be hard for everyone – especially if you suffer from the winter blues. 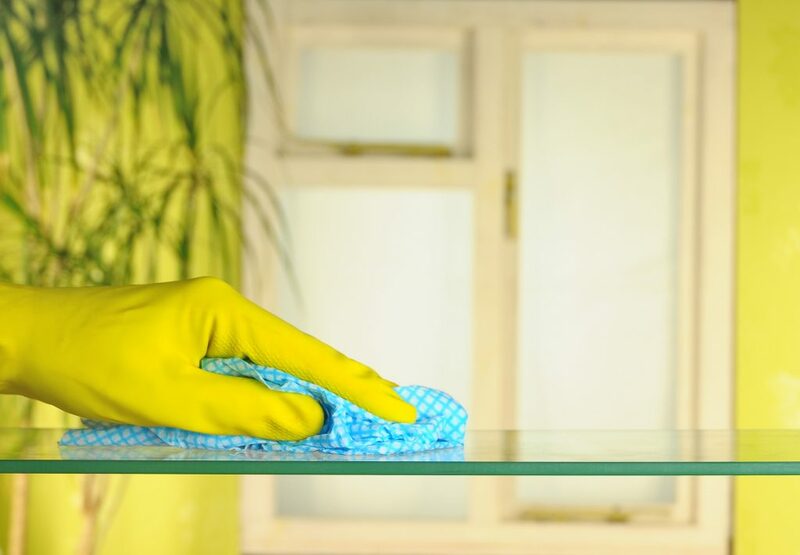 With the sun beginning to shine and the temperatures starting to rise, knowing some spring cleaning tips to help you get your home ready will give it that fresh start it needs. When you are beginning your spring de-clutter project, the best place to start is from top to bottom. Use your vacuum with an extension hose to get the cobwebs and dust from your ceiling fans. This forces debris downwards so that you don’t have to re-clean the space surrounding it. Using a sponge and a light cloth on your most valuable light fixtures will make your home feel even brighter. If you have light fixtures that are high up, be sure to use a step ladder to reach those tough-to-get places. Clean Your Upholstery & Carpets. The fabrics of your upholstery need some TLC after the winter months brought dirt, germs, and body oil to their surfaces. By using a carpet cleaner, you can get a deep clean of the fabric of your most beloved items around your home. Your Windows & Walls Need Care, Too. Windows and walls also accumulate a lot of dust and dirt. The best way to approach these spots is to use a sponge and hand washing detergent to get rid of the dirt that clings to these vertical surfaces. Cleaning your refrigerator both the inside and outside. This means you’re going to have to pull the drawers out to ensure you get the hard-to-reach places. Be sure to wipe down the shelves and throw away old items that should no longer have a home in your fridge. Spring cleaning is the perfect motivation to get you and your home ready for the inviting and warm summer months ahead. Using these cleaning tips and tricks for your spring cleaning needs should help you get that spring fever feeling! Do Today’s Seatbelts Really Make You Safer? Seriously? Cars Fueled by Solar Power?